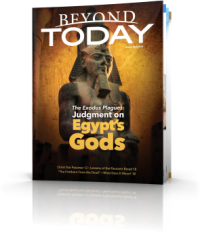 In 1958, as a teenager, I learned about the Sabbath and Holy Days. My mother, twin sister and I observed the Sabbath and Holy Days for a year at home before I attended Ambassador College in Pasadena. I remember walking into the Shakespeare Club for a Friday night Bible Study and regular church service the next day. I was overwhelmed and thrilled by the clarity of teaching and the sheer excitement of finally being able to worship with others on the Sabbath. The Sabbath was the highlight of the week. God created the Sabbath to be a blessing for us - as Mark 2:27 states: "The Sabbath was made for man, and not man for the Sabbath." The Sabbath is a special creation for the whole human race. Not only did God create it, but He has perpetuated it and sustains it to this day. It is a day that was made for our good - a day of rest and worship. One of the blessings of the Sabbath is the opportunity to assemble together on that day. Sometimes age, health and finances might limit our ability to attend on a regular basis. We live in an age today where many who are not able to attend have access to DVDs and to webcasting of services. That is a blessing for those who are not able to attend, but can also be a temptation for others to just stay at home and skip services. Notice how Wuest translates Hebrews 10:25: "Not letting down on the assembling of ourselves together, even as the custom of certain is, but exhorting one another, and so much the more as ye see the day drawing near." In The complete word study dictionary of the New Testament by Zodhiates, he gives the following comment: Assemble "does not merely denote the assembling for corporate worship as a solitary or occasional act, but as customary conduct." Assembling together should be our habitual behaviour. It gives us an opportunity to encourage, cheer up, inspire and build up one another. What a blessing we have to contribute to the overall vitality and health of other believers. Fellowshipping with the people of God is truly another great blessing from God that the Sabbath day affords. For many of us, the Sabbath is the major day that we are able to see our beloved brethren. As 1 John 1:3 states: "We proclaim to you what we have seen and heard, so that you also may have fellowship with us. And our fellowship is with the Father and with his Son, Jesus Christ" (NIV). We have more time to communicate with one another on the Sabbath. We are able to pray effectively for others because we have more than a cursory knowledge of one another's needs and health issues. 1 John 1:3 reveals that we also have fellowship with the Father and with Jesus Christ. We have fellowship with God any time we pray, study and meditate on His word. However, the Sabbath is a special time of fellowshipping with God. The Congregation of Israel would literally come to the physical temple on the Sabbath to be in God's presence. Today the Church is collectively the temple of God. God dwells in us! As the children of God, we assemble together to meet with our Father and elder Brother. Every time we miss services, we miss an opportunity to be in God's presence. We collectively assemble together to worship God. We do this by praising God through music, by learning more about God through preaching, and by fellowshipping with one another. 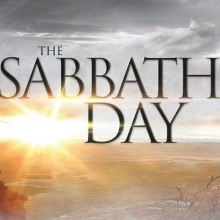 In the Millennium and White Throne Judgment period, all nations will observe the Sabbath day. Notice how God describes that period of time: "'...and from one Sabbath to another, all flesh shall come to worship before me' says the Lord." We have the opportunity to worship God now each Sabbath and later to teach the nations how to worship the creator God and His Son. I grew up in a strict Roman Catholic teaching until I found the true God of the Bible, I never knew what the Bible truly taught and that the true day to come to worship is the Saturday. God is showing me many bible truths and I would value your prayers as I guide the church towards the truth. I'm pastoring a little church in a little town in Wyndham, Western Australia, right at the top. Most of the folks have been influence by the missionary and came with many traditional doctrine eg. Christmas, Sunday service, Easter. I Thank you for your information and the UCG.